Are you finding it difficult to realise your goals? Are your competitors outperforming you? Are you finding it hard to stay on track? Are you and your team heading in different directions? If you answer yes to any of these questions then we can help you adopt a clear strategy, which is implemented well and can avoid these pitfalls supporting real growth. Most businesses know they need a strategy to help them grow but find it difficult to develop and implement the right strategy, and this is where Ignite Strategies specialise. So what is a strategy? 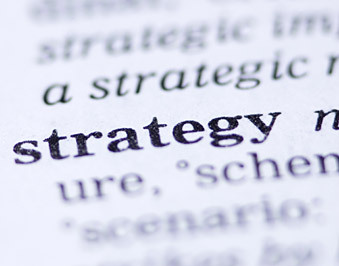 Well, strategy is often confused with vision, goals and objectives. In fact it is none of these! The vision is where you want to be in the future. The goals or objectives are measurable targets which if you hit them confirm you are on the right track in reaching your vision. The strategy is HOW you are going to achieve your objectives. To find out how we could accelerate the growth of your business call 07717 691967 or email richard@ignitestrategies.co.uk for a no obligation discovery meeting. At Ignite Strategies we recognise how important it is to have a strategy for the continued growth of your business, whatever your size. We also understand that taking time out from the day to day running of your business to achieve this can be challenging, and this is where Ignite Strategies comes in.